Five Questions With Murphy Brown Star Faith Ford Get to know the actor who plays Corky Sherwood on CBS's new Murphy Brown reboot. This just in. CBS's revival of the ground-breaking comedy Murphy Brown is a hit. Watch! interviewed cast member Faith Ford at the TCA press tour this summer and chatted about reprising her role as lifestyle reporter Corky Sherwood, her inspiration, and how she unwinds in her downtime. Watch! is all about television's hottest shows. Tell us about returning to Murphy Brown. Doing Murphy Brown again is like going home again. There is just no better way to say it. And it is so nice to be back at CBS. In some ways it is very surreal and in some ways it is very real at the same time. I think my heart started to race when I was asked to come back. Faith Ford is right at home on the set of Murphy Brown. My mother always inspired me to try to do my best, be better at school (she was a school teacher), and never rely on other human beings to take care of you. Learn to take care of yourself and be independent was always preached to me. Faith Ford and the cast of Murphy Brown at the CBS Upfront. When not filming Murphy Brown, what do you like to do? I love to garden and cook. I cook every day of my life and I love using the recipes from my cookbook or creating new ones. Anything I can do with my mom and my husband is certainly important. We like to take road trips. We are probably going to take the car and drive to New York in the fall to see the leaves change. We like to experience nature. 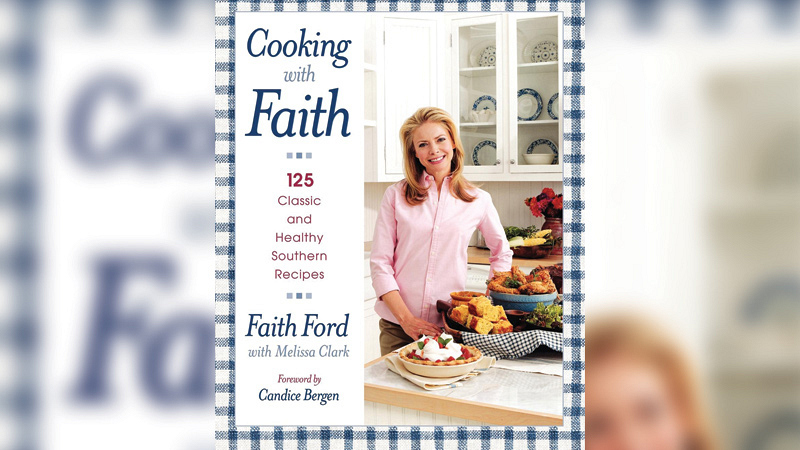 Faith Ford shares fresh takes of her favorite family and Southern recipes in her cookbook Cooking with Faith (Simon & Schuster). I really didn't decide; it decided for me. I did it because it was fun, but I did not realize it was something you can rely on to make a living. That was my standard: make a living at it or don't do it. And I have managed this long so far. Faith Ford is reprising her cheery Murphy Brown character Corky Sherwood with cool confidence. Hopefully in the same place, doing what I love both personally and in my career, and being with husband and my family. I hope my mom will make it to 90. She is going to be 81 this October. Photo Credits: John Paul Filo/CBS; Cliff Lipson/CBS; David Giesbrecht/CBS; David Needleman; Courtesy of Simon & Schuster; David Giesbrecht/CBS. 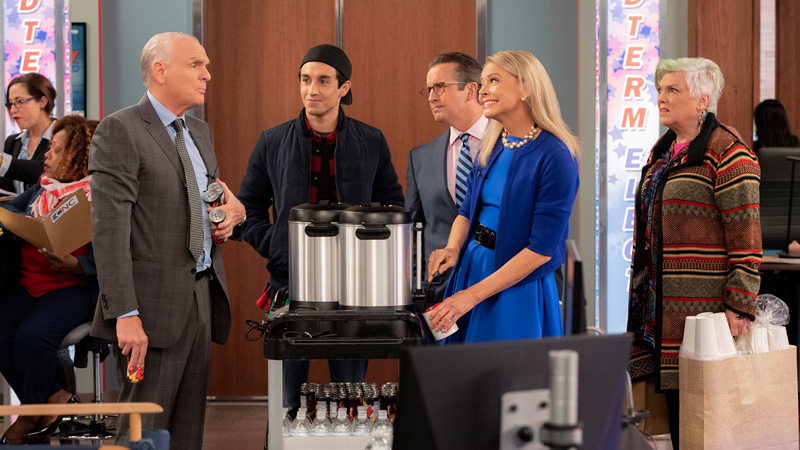 Watch all-new episodes of Murphy Brown on Thursdays at 9:30/8:30c on CBS and CBS All Access.